Some have started queueing in the wee hours of the morning, while others waited in the rain for their favourite boy group to arrive. 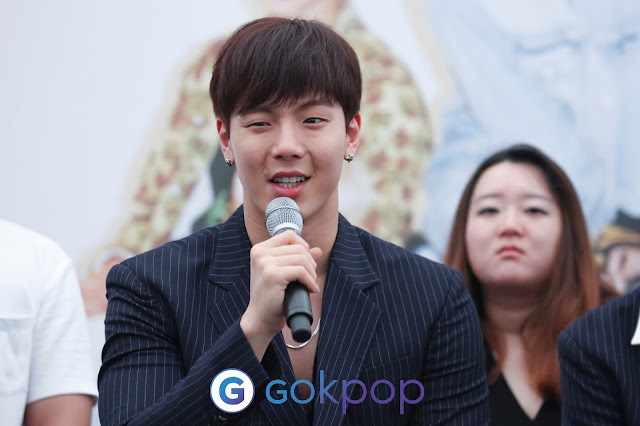 That’s right, MONSTA X made their presence known on 2nd March at their outdoor press conference located at Plaza Singapura - prior to their SPECIAL SHOWCASE happening on the 3rd of March. 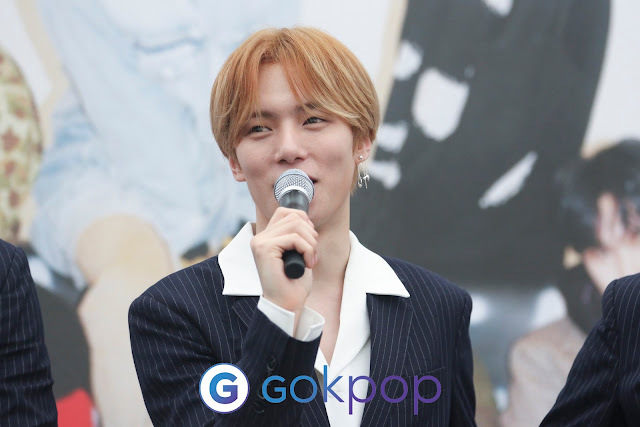 Headlining the HSBC Women’s World Championship Music Festival 2018, MONSTA X has proved their explosive popularity in Singapore, as more than a 1,000 strong crowd turned up at the event. MONBEBEs were especially delighted to see the boys despite the unexpected downpour, and welcomed the boys with a euphoric atmosphere. First but foremost, the boys took the opportunity to greet their Singapore MONBEBEs publicly, as it had been a hot minute since the idol group step foot into the country. starting it off with “HOO! MONSTA X”, their iconic greeting was enough to send their fans into a frenzy; hearing it live was a hundred times more enthralling than hearing it through your ear piece. 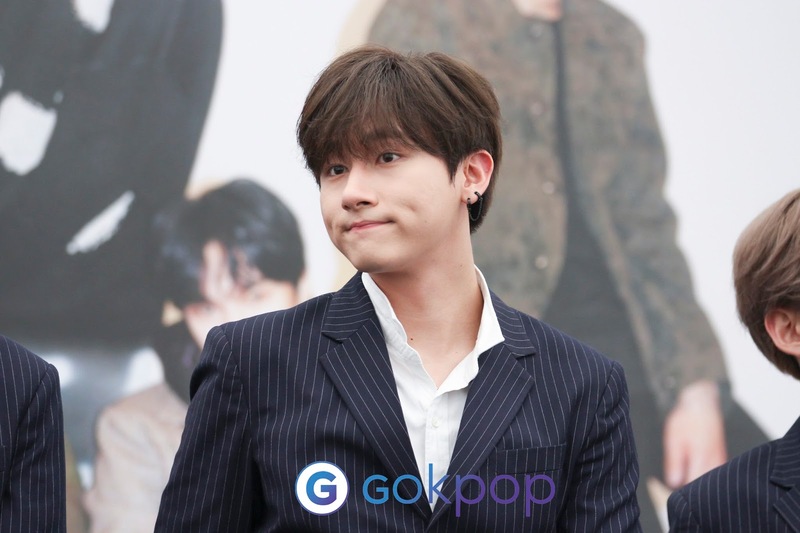 Maknae I.M then took the liberty to address the fans in English, reminding them to take care of themselves, and not to catch a cold due to the torrential rain. The MC had a list of questions in hand, and kick started the fan meet by having a Q&A session with them. 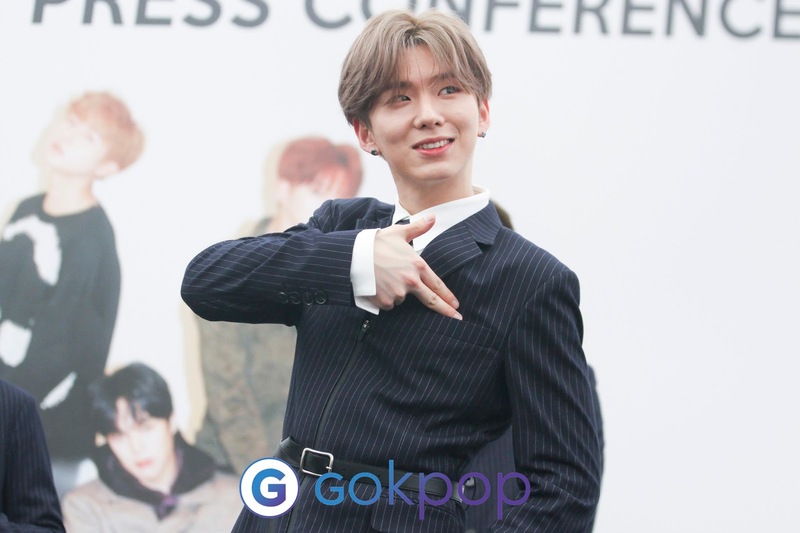 He asked the members what food they would like to try in Singapore, and the majority of them opted for ‘Chili Crab’, a signature dish amongst Singaporeans. I.M chose another dish, expressing his love for satay dipped in peanut sauce. As expected of MONSTA X, it seems that they have weaved themselves into our culture so seamlessly! The next question put their friendship (or should I say bromance?) to the test, and that was who they would choose to bring to a deserted island. Jooheon chose Shownu, as he believed that the leader excelled in everything he did. Shownu however chose Kihyun, as he liked his qualities of neatness and independence. I.M chose Minhyuk, as the older member have picked up life skills when he went to film ‘Law of the Jungle’ a few months ago. A question popped up asking who works out most frequently in the group, and they unanimously voted for member Wonho! MONBEBEs were not shocked at the answer, as they knew that the member was a gym rat, or more appropriately, a gym bunny. 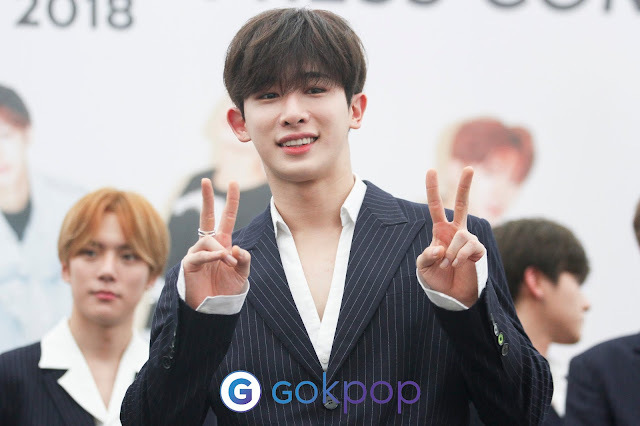 The fans also sang a birthday song for Wonho whose birthday fell on 1st March. A quality that MONSTA X possess as a whole would be their undeniable talent for humour; they are boys who know when to have fun and to relax. 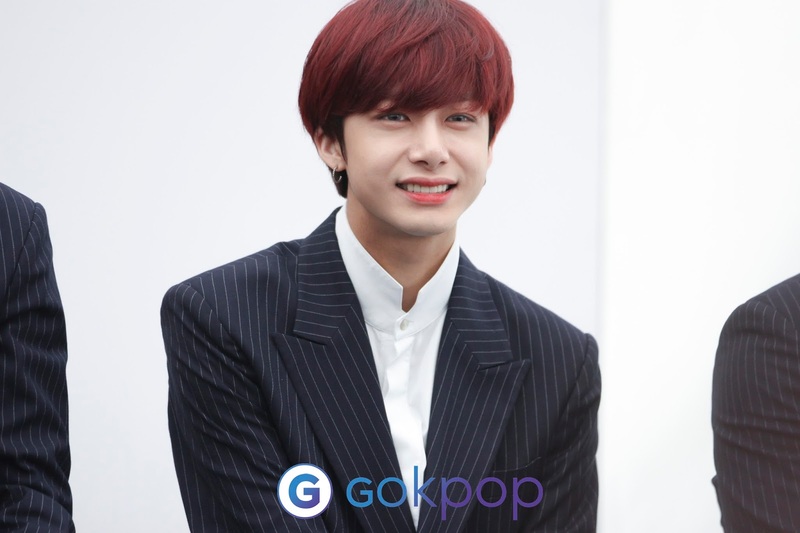 The group urged the fans to watch MONSTA X-Ray Season 1 and 2, and would love to further showcase their skills if they produced a new season of the show. Last but not least, the boys share their favorite songs from their humble catalogue as of now. 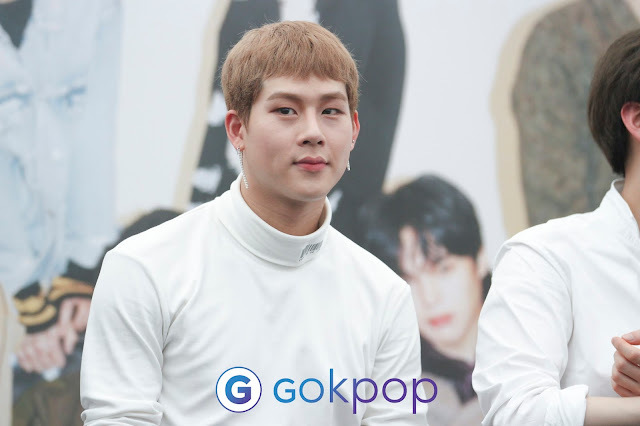 Jooheon’s pick was ‘From Zero’, while Shownu chose iconic title track ‘Beautiful’. Minhyuk chose their debut song ‘Trespass’, while Wonho chose ‘DRAMARAMA’, the song that propelled them to clinch their first win on “THE SHOW” during late 2017. I.M and Kihyun chose calming B-Side ‘Blue Moon’, which has a mellow tune with impassionately written lyrics. second world tour and next comeback! We would like to thank UnUsual Entertainment for allowing us to cover this event. Visit GOkpop Singapore Facebook Page for more pictures.